Carleton employees can now submit, manage, edit and update their own events. The new Events Calendar is very easy to use. Here are a few steps on how to use the Events Calendar. The first step is to log in. 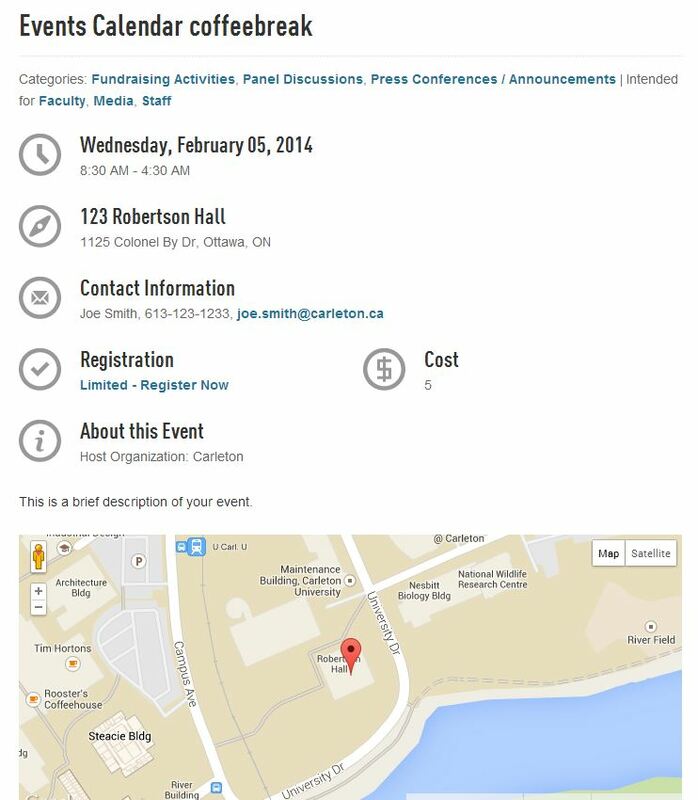 Access the event calendar using your “My Carleton One” account. 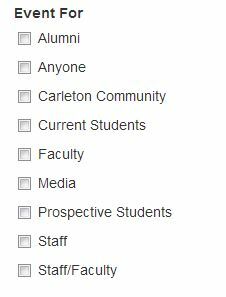 Note that you have to be a Carleton Emplyee to log in. 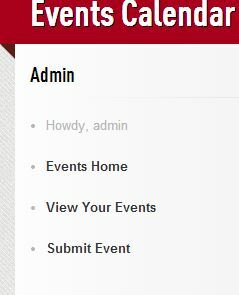 Once logged in, you will see an “Admin” section in the left navigation. Click the options to manage your event calendar. From here, you can go to the events home, view a list of your events and submit an event. Click “Submit Event” from the Admin in the left navigation. You can fill in detailed information in the form. 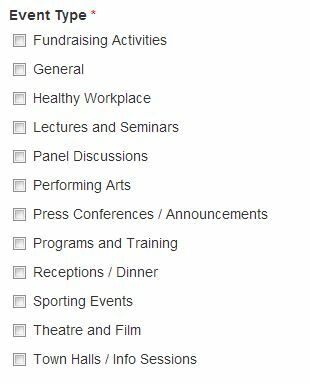 Under “Event Type”, select categories that are relevant to the event that you are creating. After you publish the event, it will appear in categories that you select. The “Categories” section appears in the left navigation. If you want this event to appear under “General”, select “General” under the Event Type when you create the event. Under “Event For”, select options that are relevant to the event that you are creating. After you publish the event, it will appear in audience types that you select. The “Audience” section appears in the left navigation. Click “View Your Events” under Admin. Click on the event that you created. You will see 4 tabs at the top. Click “Edit” to edit the event. You can update all the information that you created previously. Note that you can only edit one option at a time. When you are done, click the red button to submit your change. If you need to make multiple changes, repeat this process for each edit. Once you have submitted your change, you will return to the event view. Due to site cacheing issues SOME changes may not be reflected immediately, if you do not see your change please refresh your browser before submitting the change again. For technical issues, contact CCS Service Desk for help. For event related services at Carleton, email the Events Office. Enjoy using the new Event Calendar!